below ground and all alone. She digs out. She flies. A native bee, the bumblebee. takes a starring role in this nonfiction picture book about the bumblebee’s life cycle and natural history. 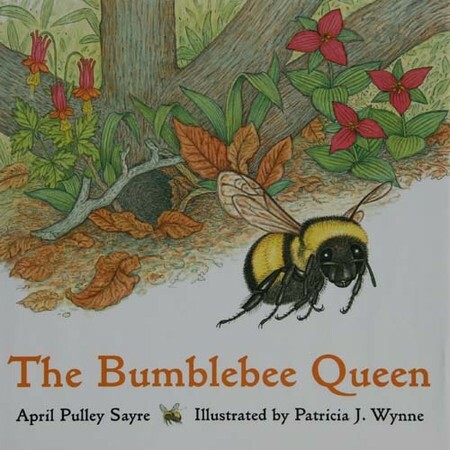 Learn how a queen bumblebee digs out of the ground and starts her year all alone yet builds a colony by summer’s end. Patricia is a highly skilled scientific illustrator. This book has been a big hit for elementary read alouds. Young children enjoy learning about small creatures such as the fuzzy bumblebees. Educators particularly like the tidbits of information in the small sidebars on each page.